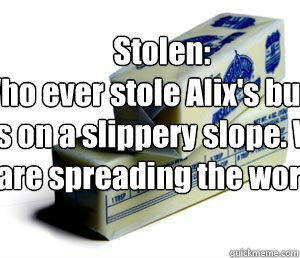 Stolen: Who ever stole Alix's butter is on a slippery slope. 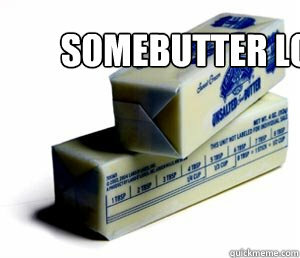 We are spreading the word! 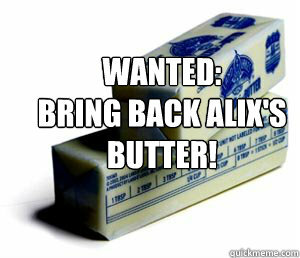 WANTED: Bring back Alix's butter!